Pitch@Palace guides and connects Entrepreneurs and early-stage businesses with potential supporters, including CEOs, influencers, angel investors, mentors and business partners. Entrepreneurs who are selected to participate in Pitch@Palace are invited to attend Boot Camp, where they receive support and guidance on how to develop and hone their pitch, as well as support with investment, introductions and strategic guidance. A selection of these Entrepreneurs and small businesses are invited to the final event at St. James’s Palace to pitch directly to an influential audience. Pitch@Palace hold regular events, boot camps and tours around the world. We are official photographers for the events that take place in London, which have approximately 500 attendees each time. The general aims with these events are to raise awareness, increase online engagement and attendee engagement. In order to help amplify the entrepreneurs’ online profiles, the organisers often request for professional shots of as many entrepreneurs as possible during the event. They are always wanting to find ways of encouraging social media activity during the event for the same reason. We’ve covered 7 events in London so far, with 3-4 specialist photographers on average. We've provided full professional photography coverage, including highlights, media wall coverage, pitches, attendee networking and general view shots. We've professionally edited the photos and uploaded them to individual online photo galleries, which are specifically designed to allow the attendees and organisers to view, download and share the photos easily. We mostly deliver the images within 24-48 hours, however, in order to maximise social media use during the event, we've often provided ‘Live Images’, whereby we shot, edited and delivered selected photos in less than 2 hours, so they can be shared as the event takes place. We've also provided images the next morning for PR purposes. To help increase attendee engagement, we’ve also provided on-site printing and gifted the photos to attendees. With the help of the 1,000+ Live Images which were posted directly online on the same day as the events Pitch@Palace has increased their online engagement rates and brand awareness. 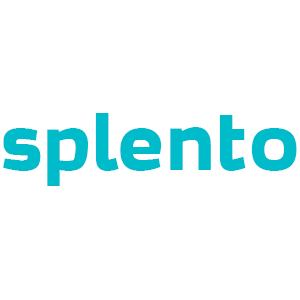 So far, Splento has produced 2,245 photos for Pitch@Palace, downloaded by 57,780 people from our online galleries and used them across multiple communication channels, such as social media, company websites, online bios and Linkedin profiles.